What a GREAT kitchen gadget to have for our next party! 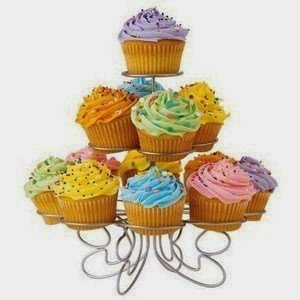 Right now, Amazon has the Multi-Tierred Metal Dessert and Cupcake Stand for ONLY $4.95. With 3 kids having birthday parties, this will come in handy. You better believe that I am snagging one for myself and one to use as a gift.